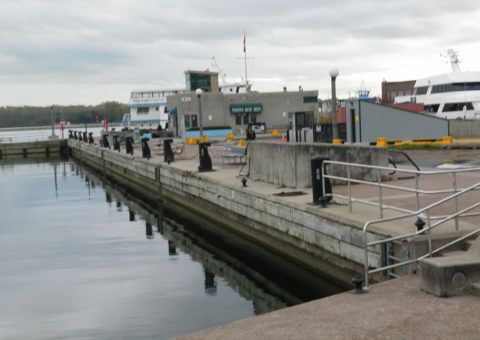 Part of Toronto’s waterfront renewal, this below-grade garage provides much-needed parking for the City’s residents, workers, and visitors. 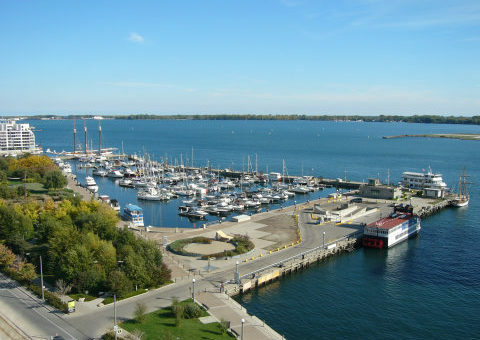 Located on Queens Quay, underneath Lake Ontario, the garage was built on inconsistent fill saturated by a high water table. 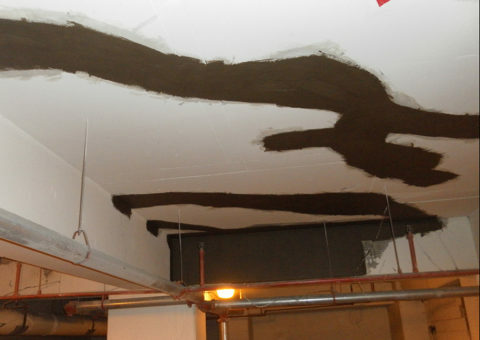 Despite these protective measures, the continuous hydrostatic pressure required the use of a coating designed to perform and protect the garage’s soffits. 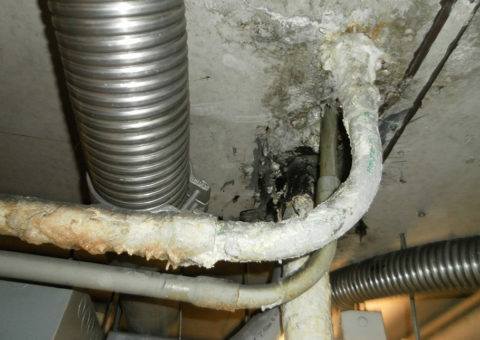 Additionally, the garage was exhibiting cracks and areas of delamination as well as leaks around pipe penetrations and cold joints. The previous solution of injections failed to stop the water infiltration. 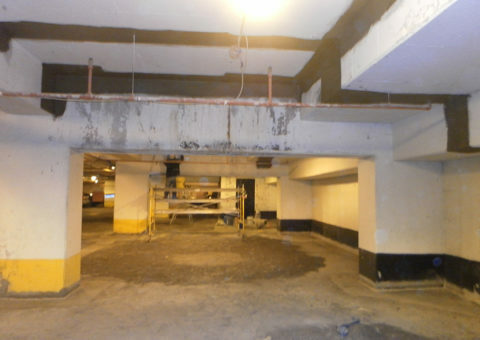 Kelso Coatings initiated work with Macdero in the City of Toronto below grade parking garage on Queens Quay in November 2013. 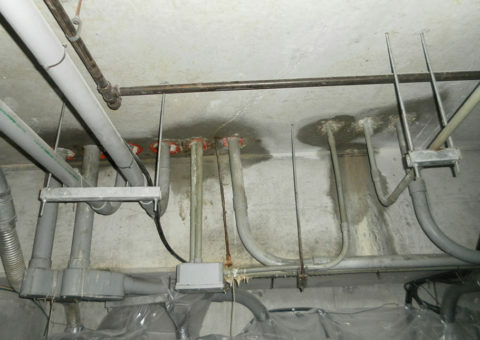 The continuous hydrostatic pressure required the use of a system designed to perform under these conditions. 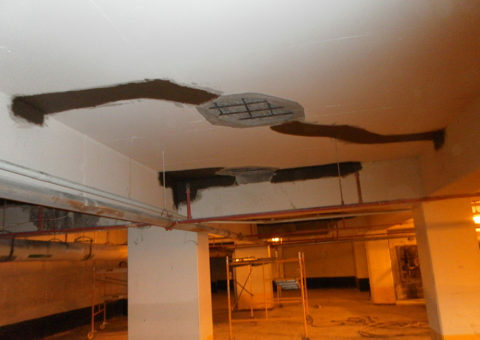 In addition to cracks on the soffit and areas of delamination, leaks were evident around the pipe penetrations and the cold joints. This project was extended into its 2nd phase based on the success of CN2000 during Phase 1. 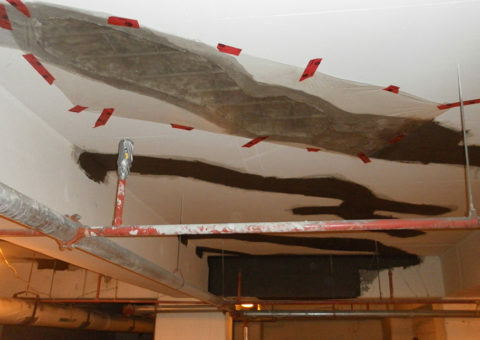 The CN2000 system application in November 2013 performed as expected to waterproof the concrete through Toronto’s polar vortex and extreme freeze/thaw conditions during the 2013/2014 winter season. This below grade parking garage is in Lake Ontario. 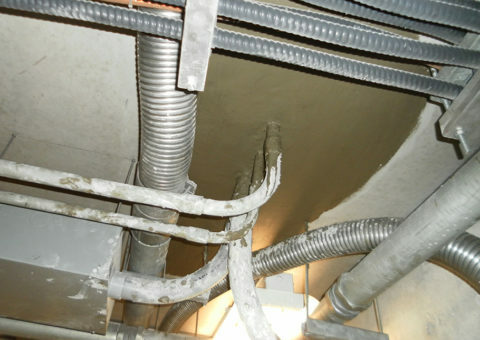 The continuous hydrostatic pressure required the use of a coating designed to perform under these conditions. The project was completed over a two week period while maintaining continuous operation of the parking facility. The previous solution of injections failed to stop the water infiltration. CN2000 was specified by Genivar (now WSP Group). Tested by Queen’s University and National Research Council of Canada - CN2000 resists extreme hydrostatic pressure and rapid freeze/thaw cycles. 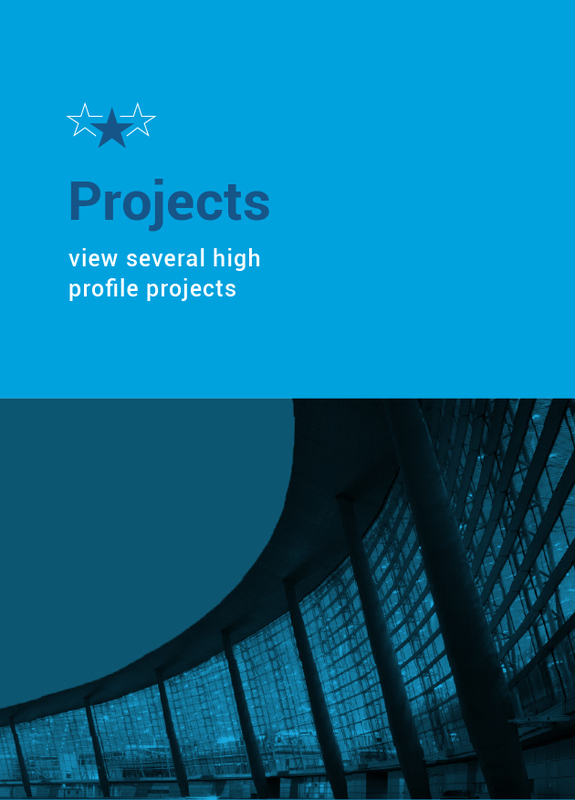 The success of the November 2013 application led the general contractor – Macdero Construction, to call Kelso Coatings to work with them to complete Phase 2. 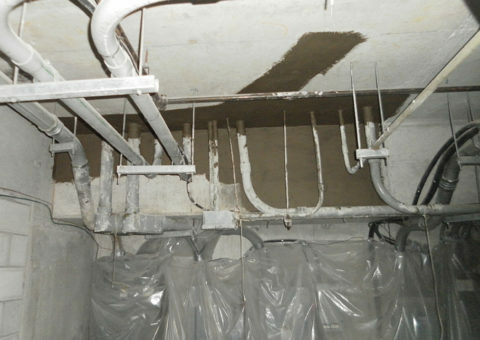 CN2000 was also used to coat the exposed steel rebar to act as an anti-corrosion solution to the steel. This application was approved after the Queen’s University test results were received and approved. Surface preparation completed in 4 days. 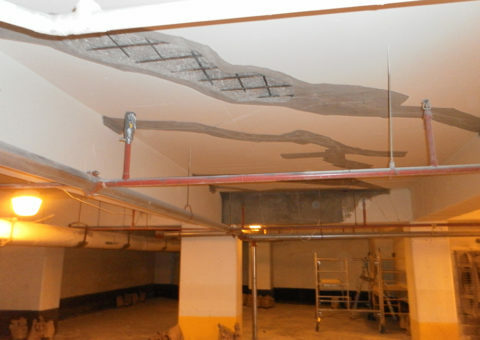 Includes scaffolding, chasing the cracks/cold joints and in this case, sand blasting was used to scarify the concrete to open the pores and saturate the concrete required for application. Application time of 5 days. Macdero successfully completed the training and certification process for the CN2000 waterproofing system and can continue the next phase of construction. 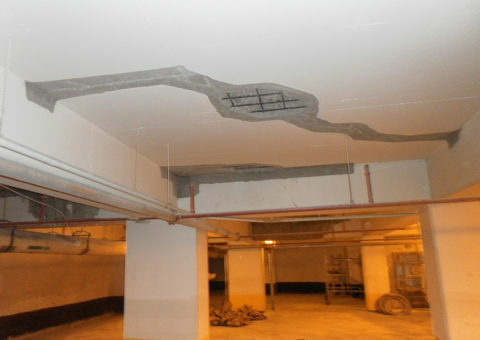 CN2000B cementitious capillary crystalline (2 coats) on areas that were specified by the engineers and prepared and installed by Macdero, who is one of our trained and certified applicators.